Lana Del Rey got various awards for her songs (including two BRIT awards, EMA award and many others). Now she is the singer, songwriter and model, but in her 15 she suffered from alcohol abuse. How did she come to stardom? In 1985, on the 21st of June a girl was born. She was called Elizabeth Grant (that is the real name of Lana Del Rey). Her father, Robert Grant, Jr, was a copywriter and her mother, Patricia, was a teacher at a High School. Elizabeth lived at Lake Placid (New York) and had a sister and a brother. She attended Catholic elementary school and studied well there. In her free time the girl liked signing, but she had no idea to earn her living in this way. When the girl was 15, she got addicted to alcohol. That was the reason, why her parents had sent her to Kent School. She lived at her uncle’s home during her studying at Kent School. After graduation, Elizabeth decided to stay at her uncle and aunt’s house for a year or so. Her uncle taught her to play the guitar and the girl felt, she could write million songs with six accords. She started to play at night clubs in New York. Once she decided to create video for one of her songs. She chose the single “Video Games” and uploaded its video at YouTube. Thus she was found by the scout of Stranger Records. Lana Del Rey albums are worth listening even for those, who don’t like pop music. In general there are four studio albums, recorded by Lana Del Rey. She has various singles, extended plays and music videos as well. Each of her albums became very popular and in general Lana Del Rey sold more than 7 million copies of her albums. Her debut album was released in 2010. It was called Lana Del Ray. Lana Del Rey started her career as Lizzie Grant. Later she changed her name into Lana Del Rey and called her first studio album “Lana Del RAy”. She had changed the spelling a little. While recording her first album, the signer held the photo of her Gramma at her laptop. When she felt exhausted, she looked at her Granma smile and felt much better. The album included 13 songs; some of them became immortal hits. The album gave the world such cult songs of Lana Del Rey as “Kill Kill”, “Yayo”, “Mermaid Motel”, “Gramma” and many others. Later Lana Del Rey released 8 music videos for this album. Most of them were uploaded at YouTube. The debut album of the signer was good enough, but the second one was bombastic, completed of hits mostly. In 2012 she introduced to her fans the album “Born to Die”. The signer worked at her album very hard and cooperated with such talented producers as Patrik Berger, Justin Parker, Robopop and others. It is hard to define the music style of the album exactly as it is the mixture of pop, hip hop and trip pop music. 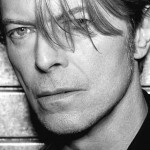 The album had contradictory reviews from critics, but it was accepted eagerly with a public. During the first week 77,000 copies of “Born to Die” were sold. 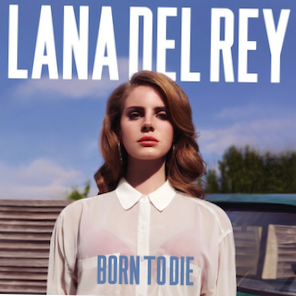 The best songs from this album are “Born to Die”, “Blue Jeans”, “Dark Paradise”, “Summertime Sadness” and many others. These compositions remain the best Lana Del Rey songs till now. Lana Del Rey “Ultraviolence” is her third studio album. Lana Del Rey planned to release it in 2013, but she didn’t complete her work in time, and that’s why continued it in 2014. If her previous album had been valued by the audience, but not by critics, “Ultraviolence” was liked by both of them. Critics called this album more conceptive than the previous ones and admitted that Lana Del Rey style became much more professional. 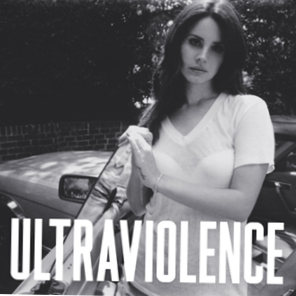 “Ultraviolence” was number one album in various chats in 2014. 182,000 copies of the album were sold within the first week. In general, 1 million copies of this album were sold. The best songs of Lana Del Rey, that were included in this album, are “Ultraviolet”, “Cruel World”, “West Coast”, “Money Power Glory”, “Old Money” and many others. The fourth and the latest album of Lana Del Rey, “The Honeymoon” also became very successful. The career of the signer shows, that she is ready to develop and to transform all the time as her next album always becomes better than the previous one. Critics praised the new album of Lana Del Rey with positive reviews. It was submitted for Grammy Award 2016. Just during the first week after its appearance, “Honeymoon” became the second best album in USA and the first one in Greece and Australia. “Honeymoon”, “High by the Beach”, “Salvatore” and many others are sung by people all over the world nowadays..
Lana Del Rey music in this album is timeless. It is hard to define its style. Probably, it is baroque pop with some notes of jazz. Lana Del Rey is successful as a singer, but she is not so successful in her personal life. The signer had several love affairs. The first one was with Barrie-James O’Neill (ex-member of Kassidy). Then she had a short relationship with Steven Mertens, a producer. She also told about mysterious seven year romance with the head of a record label. The star lives with her sister and brother. She has several tattoos; one of them is devoted to her grandma. Hopefully, this pretty and talented woman will find the love of her life soon! And now she expresses her love in her best songs.